UPDATE: Mr. Pacheco has been located and is no longer a person of interest. The Killeen Police Department would like to thank the public for its assistance. Killeen Police need your help locating Bryant Pacheco, who may have information to assist the detectives in furthering their homicide investigation. Detectives continue to investigate the homicide of Eric Dieter Hill, who was found deceased in the 6500 block of Taree Loop, on January 11, 2017. If you know the whereabouts of 23 year-old Bryant Pacheco, you are asked to contact Crime Stoppers at 254-526-TIPS (8477) or www.bellcountycrimestoppers.com. You can also download the P3Tips APP for IOS and Android to give a tip. All information is confidential and anonymous. Officers responded to the 400 block of 48th Street at 12:01am, on Wednesday, August 12, 2015, after receiving a 911 call of a man down. Upon the officers arrival they located a deceased male lying on the ground. Justice of the Peace Bill Cooke arrived and pronounced the male deceased at the scene at 12:39am; he ordered an autopsy to be performed at the Southwestern Institute of Forensic Sciences in Dallas. The victim has been identified as 22 year old Mitchell Sebastian Jaudon Jr., and the autopsy revealed that he died of a gunshot wound. Detectives continue to investigate this death and are asking anyone who may have information about this incident or anyone who may have been involved, to contact Crime Stoppers at 254-526-TIPS (8477) or go online anonymously at www.bellcountycrimestoppers.com or text BELLCO along with your tip anonymously to 274637. Text HELP to 274637 for help with the tip or text STOP to 274637 to stop the tip. All information is confidential and anonymous and if your tip leads to the arrest of person responsible for this crime, you could be eligible to receive up to $1,000 in cash. 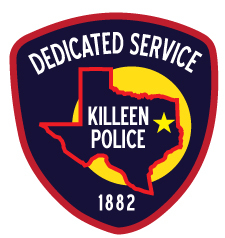 Killeen Police are investigating an early morning shooting on Tidal Wave Dr.
Officers responded to the 4200 block of Tidal Wave Dr. at 1:42am, on Sunday, June 14, 2015, after receiving several 911 calls of shots being fired. Upon the officers’ arrival they located a 16 year old male suffering from a gunshot wound; he was unconscious and not breathing. Justice of the Peace Garland Potvin pronounced the victim deceased at the scene at 2:36am; he ordered an autopsy to be performed at the Southwestern Institute of Forensic Sciences in Dallas. The name of the victim will be withheld. The preliminary information that was received by officers revealed the suspect(s) drove slowly past the house and began shooting in the direction of the victim. The Criminal Investigations Division continues to investigate this incident and information will be released as it becomes available. Detectives are asking anyone who may have information about this Homicide or anyone involved, to contact Crime Stoppers at 254-526-TIPS (8477) or go online anonymously at www.bellcountycrimestoppers.com or text BELLCO along with your tip anonymously to 274637. Text HELP to 274637 for help with the tip or text STOP to 274637 to stop the tip. All information is confidential and if your tip leads to the arrest of person responsible for this crime, you could be eligible to receive up to $1,000 in cash. UPDATE: The victim in from the shooting succumbed to his injuries and was pronounced deceased by Justice of the Peace David Barfield at 8:19pm on March 11, 2015, at Baylor Scott & White Memorial Hospital. 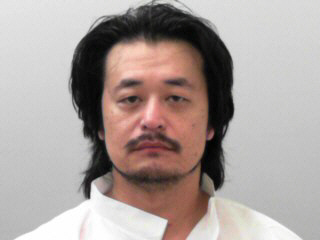 The victim’s name has been withheld pending next of kin notification. Killeen Police Department is investigating a shooting in the 2300 block of Jennifer Drive. Killeen Police responded to a shooting, at the 2300 block of Jennifer Drive, on Wednesday, March 11, 2015, at 11:08am. Upon the officer’s arrival, they found a 22 year old black male, in the parking lot, suffering from a gunshot wound. He was immediately transported to the Baylor Scott & White Memorial Hospital in critical condition. The preliminary investigation revealed that a black female and a light-skin black male drove up to the apartment complex. The male suspect approached the victim, demanded money and shot the victim; the male and female then fled the area in a blue car. The name of the victim has been withheld due to the seriousness of injury. The deceased male has been identified as 50 year old Terry Linn Bass from Killeen. The manner of death has not been determined at this time as the detectives are awaiting the autopsy results. This death continues to be investigated and information will be released as it becomes available. Killeen Police investigate a Homicide at a Caprock Drive residence on Friday evening. Killeen police responded to 1708 Caprock Drive on Friday, November 07, 2014 at 8:30pm, after a female contacted the department and told them she was unable to open her garage door and felt it was suspicious in nature. Upon their arrival, the officers checked the outside of the residence and found an open back door. Once inside, they located an unresponsive 49 year old male that appeared to have been shot. Justice of the Peace Bill Cooke pronounced the victim deceased at 9:34pm and ordered an autopsy to be performed at the Southwest Institute of Forensic Sciences in Dallas. The name of the victim has been withheld pending the notification of his next of kin. Detectives are asking anyone who has information about this homicide or any suspicious activity in the area to contact Crime Stoppers at 254-526-TIPS (8477), go online at www.bellcountycrimestoppers.com or text BELLCO along with their tip to 274637. Text HELP for help with the tip or text STOP to stop the tip, message and data rates may apply. All information is anonymous and confidential and if your tip results in the arrest of the suspect involved in this crime you could be eligible for a reward up to $1,000 in cash. Detectives continues to investigate this homicide and information will be released as it becomes available. Killeen Police investigate an afternoon shooting on Turkey Trot Road. Officers responded to 690 Turkey Trot today, September 5, 2014 at 2:03pm, after receiving a 911 call telling them a man had just been shot outside the residence. Upon the officers arrival they located a 41 year old male inside a white Buick LeSabre suffering from a gunshot wound to the face and another male outside the vehicle. The victim was immediately transported by ambulance to the Scott & White Memorial Hospital in Temple, in critical condition. The officers were told that two males were involved in a verbal altercation outside the residence, at some point during the argument a weapon was displayed and the victim was shot. After further investigation the 40 year old suspect and resident, was taken into custody and transported to the Killeen City Jail. The victim of the shooting, Danny Mac Carruthers, succumbed to his injuries and was pronounced deceased at Scott & White Memorial Hospital at approximately 3:30am. This case was reviewed by the Bell County District Attorney’s Office and a complaint was returned charging John Hyon Dust with Manslaughter. He is currently in the Killeen City Jail awaiting arraignment on Sunday, September 7, 2014.